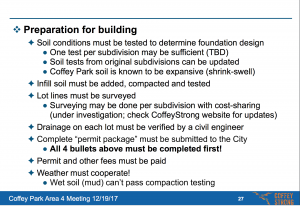 There is a possibility that the City of Santa Rosa might have a “plot plan” of your property (or other historic building permit information) in City Building Permit records from when the houses were first constructed. These are housed in the Planning and Economic Development Department in Room 3 at City Hall (100 Santa Rosa Avenue, Santa Rosa). But they are not quick and easy to access, and it takes about 10 days to get your hands on them since it means digging through archives and microfilm to find them. You can request via mail and save yourself a trip downtown. Source: Joshua Damron, Area 4 Block Captain and City of Santa Rosa Planning Dept. 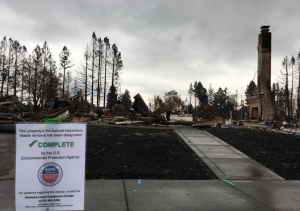 The City and County have teamed up to provide an interactive online map displaying debris cleanup status of all the properties impacted by the fires. In addition to the map, a great deal of helpful information about debris removal requirements are provided on their website. The map is searchable by address, and shows which properties have submitted a right of entry but are not cleared (white), which have opted for a private cleanup (ochre), which are waiting for soil sampling (blue) and which are ready for rebuilding (green). Before the major ash and debris removal, the EPA came through to check for hazardous household waste. 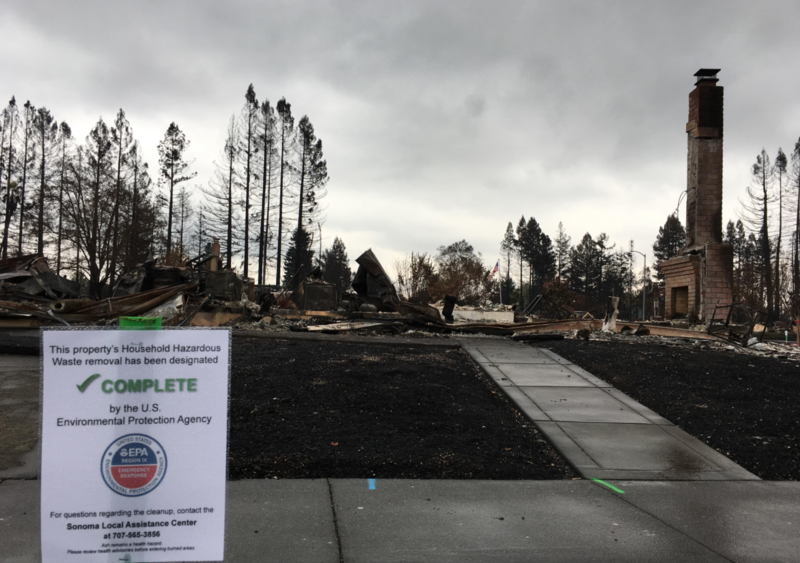 As of December 20, the EPA had nearly completed all of this work throughout Sonoma County. This includes removal of everyday products like paints, cleaners, solvents, oils, batteries, herbicides and pesticides, which often contain hazardous ingredients. Following a fire, these products require special handling and disposal, especially if their containers are compromised. For more information on the EPA’s work, see the agency’s fire response webpage. 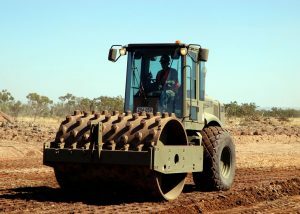 Once the Army Corps has completed the removal of all ash and debris, and sprayed erosion control material on the lot, then there is a soil sampling phase. Already a week before Christmas more than half of Coffey Park’s lots had been cleared, and the Army Corps reports that their goal is to have them all done in our neighborhood by January 15, 2018. Why isn’t mine clear yet? 1. Density – the closer together the lots, the easier it is for the crews to clean more lots, faster. Regardless, we can all be happy to know that the lots should all be clear in less than a month’s time for those who went with the public cleanup option. I got the ready to build notification…now what? 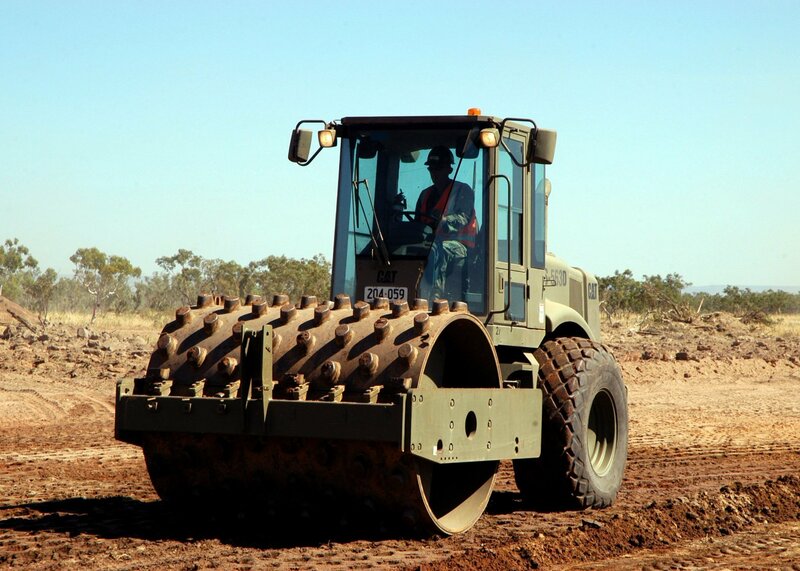 You can consult with a professional land surveyor/engineer to get an accurate determination of where your legal property lines are. Work together with your neighbors to share the cost! Additional information may be included in your deed and in Assessor’s maps. You can start the process of obtaining permits for your rebuild. Weather must cooperate! Can’t rebuild in pouring rain! I wanted to reach out to let you all know about some big news in regards to Coffey Strong’s efforts. Recently, the United Way of the Wine Country has agreed to be the nonprofit partner for the Coffey Strong neighborhood association. This means we can now accept funds for our efforts through the 501c3 of the United Way. This is a very big development. Currently we are applying for grants and funding in order to accomplish two short term tasks that will have large ramifications. We are pursuing licensing for a customer relationship management (CRM) software that would make our communication methods exponentially more efficient. Additionally we will be looking to hire a free-lance developer to help make our website more robust. Cross reference those two so we can identify groups with the same floor plan AND insurance carrier. This helps us in multiple ways. First, if we can identify those that share floor plans and carriers we can not only be able to compare notes on price per sq. ft. to make sure everyone is getting a fair shake but also be able to share best practices and any newly identified information. This will help level the playing field. Additionally, by grouping residents together by floor plan, we can offer the ability to share ideas. If you wish to make changes to your home’s design or start from scratch, we can provide the ability to have groups of the same floor plan meet with builders such as DeNova, American Pacific Builders and Stonefield who are willing to design new floor plans for groups that are large enough. That way you don’t need to worry about identifying others to share architecture or engineering costs. Those builders will incur those costs. This is an excellent opportunity. Essentially we can get everyone with the same floor plan who wishes to participate in the same room to identify a builder to work with and create a focus group to develop a similarly sized floor plan with your ideas influencing it. Most of those builders will be developing plans for other sized homes as well, and can do a “plan fit” so you can see other designs that can fit on your lot. 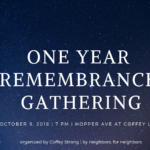 The most crucial components of this are to first, make sure you are registered on www.coffeystrong.com with your information updated (you can update your info even after you register). Second, be patient. We have an opportunity to update and customize the old floor plans with the builders paying that cost. The Coffey Strong organization is trying to avoid residents from having to pay for things they don’t need to. More info will be coming soon, thanks for your patience. 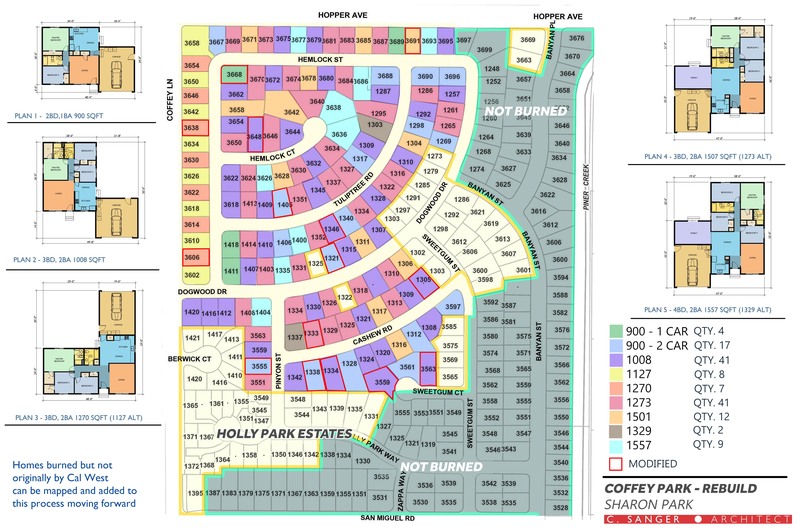 Coffey Park is a large development with many original builders although within that plan many house models were duplicated. As homeowners now get copies of their house’s original plans, they have been seeking others with the same plan too. And with rebuilding, mortgages, and insurance, we know that footprint, square footage, number of bedrooms and bathrooms all have an impact on design review, permits and total cost. There could be some real value to pursuing collaborative planning if you connect with others who also had your house plan or at least a similar square footage. 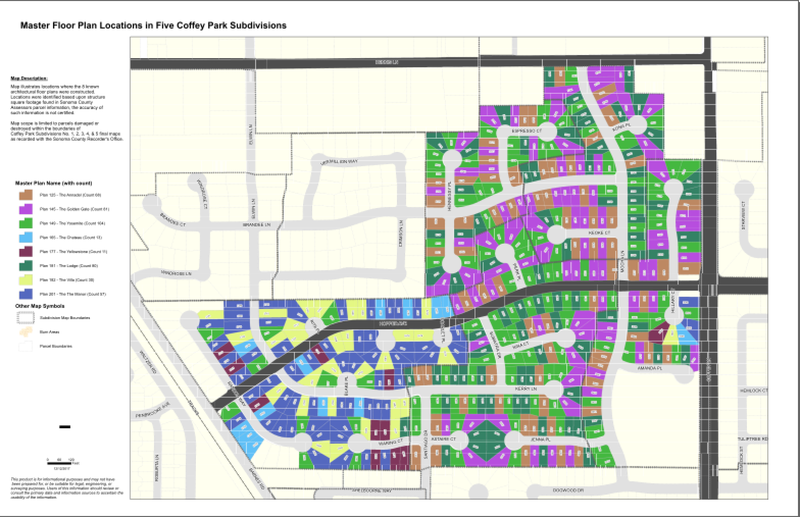 Here are some maps that one of our Coffey Park block captains created, all from public information in the city tax assessors office. We are working on ways to help you connect with others homeowners in Coffey Strong if you want to try and plan, design and even build in collaboration with others (or at least explore that possibility). Keep in mind the data is 30 years old and does not include upgrades or remodels. 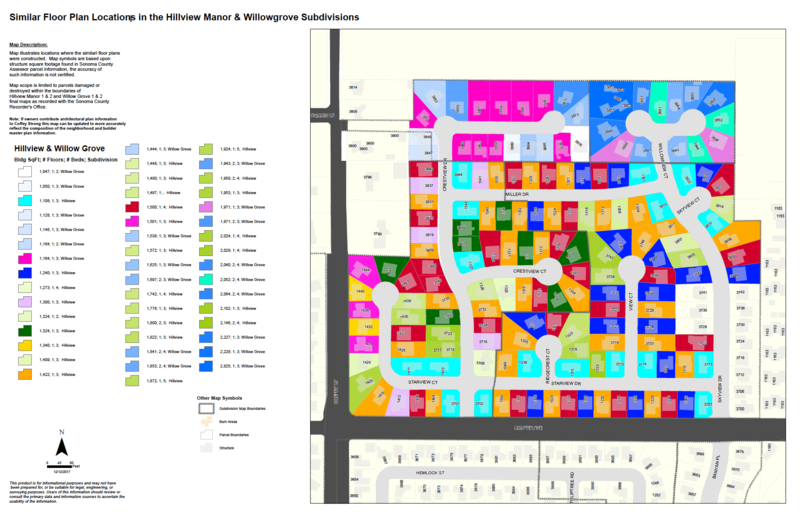 Houses with Similar floorplans in Hillview and Willowgrove Click to view a larger pdf version of this map. Sharon Park Homes by Model Map v. Dec 23, 2017. Click to view large map. 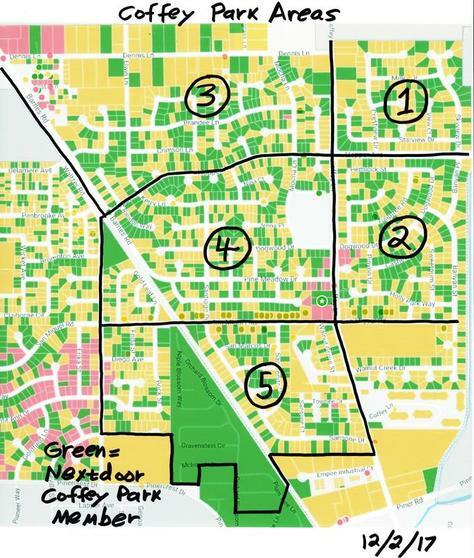 Map from Nextdoor.com showing the Areas of Coffey Park’s Coffey Strong organizing efforts. 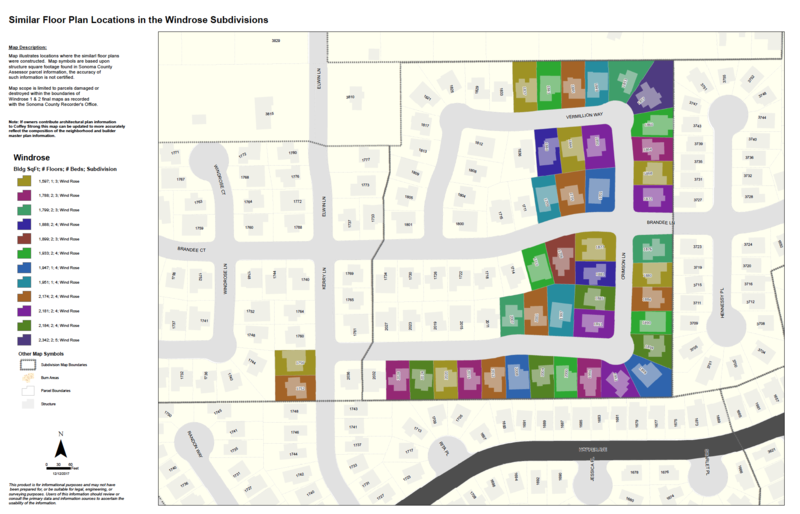 Houses in green are addresses that are part of the Nextdoor network. 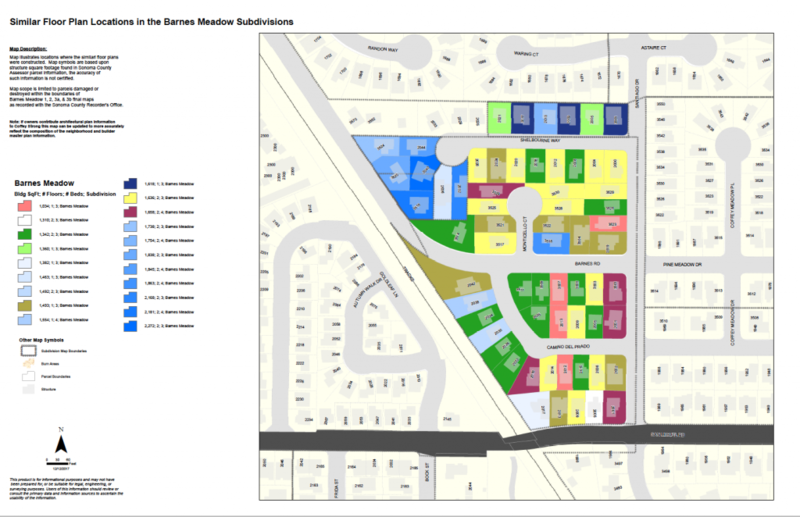 1: Builders who are interested in building 50+ houses each: APM, DeNova, Gallaher, Stonefield, Synergy. We just today posted a matrix of information on these builders on the website: http://coffeystrong.com/builder-matrix/. 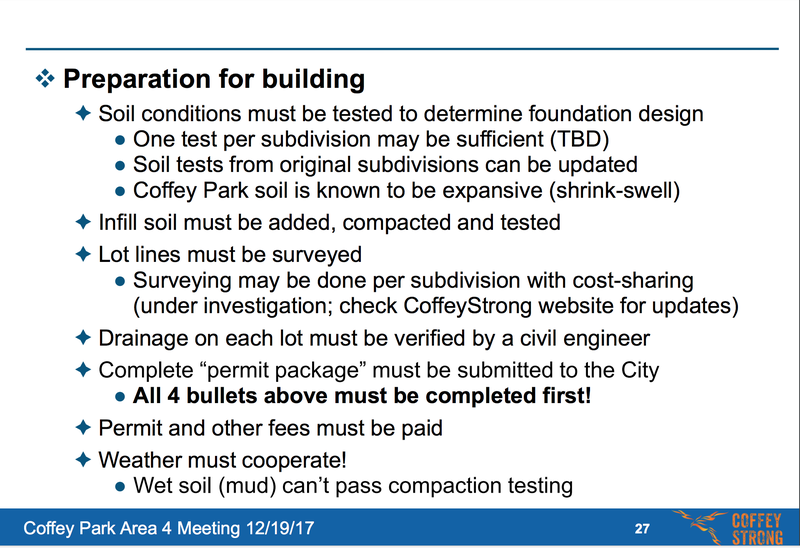 Not all of these builders are willing to build in all Areas; for example, APM is unwilling to build in Areas 1 & 2 because they are focused on rebuilding Condiotti homes, which are mostly in Areas 3 & 4. 2. Medium-sized builders who want to do 10-50 houses each: American Pacific Builders, Tuxhorn, Cobblestone, Shook & Waller, and a bunch more. 3. Small builders who want to do fewer than 10 houses each — there are probably at least a dozen of them. Every one of these builders are different (look at the matrix mentioned above for an example of what I mean). 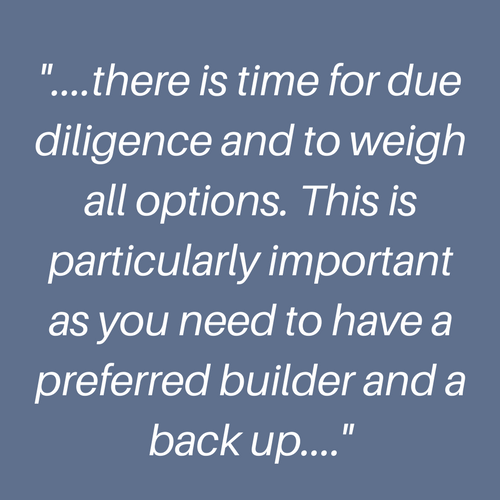 Those differences will have a BIG effect on which builder a homeowner selects. I don’t think it’s going to be as simple as mapping builders into Areas. I don’t think we even have a clear idea yet HOW we’re going to help match up homeowners with builders, at least not on the scale of all 1,100 burned homes in Coffey Park. Another point is that some of these builders still aren’t ready to lay out their complete program — an example is APM, who won’t have real pricing until the end of January. It takes a while for a large builder to nail down all the elements of a program this big. When will this all get started? It doesn’t seem likely that rebuilding will be able to start until late spring — and it’s not just the weather that’s the problem! The entire neighborhood must be certified by the City & County as ready for rebuilding. 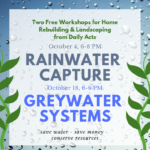 Before that can happen, the infrastructure must be tested and repaired to some acceptable level (water, sewer, gas, underground electric, storm drains, etc.). That’s going to take some time. Those builders who say that they expect to start building in February are probably just trying to nail down customers as quickly as possible. We don’t believe that Coffey Park will be ready for building to start in February. Areas 1 & 2 are different because the houses were built in 1977-1980, compared with 1986-1990 in Areas 3 & 4. Because of the 10-year time difference, the houses in Areas 1 & 2 are generally smaller. Some of the above builders are not interested in such small houses. Area 2 is working on a plan that involves boiling the original 10 Cal West plans down to five models, updating those plans to current code, and then finding a builder willing to work with that package. The bottom line is that we are still very early in this process. We DO understand the need for specifics, but we’re not even close to having all the data yet. We’re working on it. Please be patient.